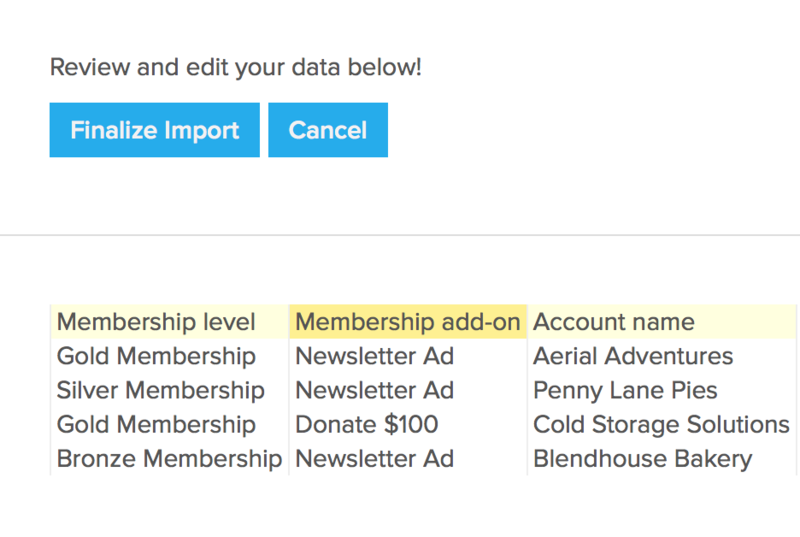 You can now import Membership Add-ons when you import or bulk update your members. For directions on importing please see MembershipWorks > Help > Membership > Importing Members. Note that you cannot update membership add-ons for a member who is on automatic recurring billing.